"Cory" is one of my first males to excel in the show ring. And that he did! 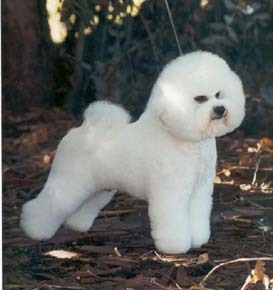 He ranked fifth place bichon for the year that he was specialed. His temperament is typical for the bichon: sweet, loving and a total lap dog.